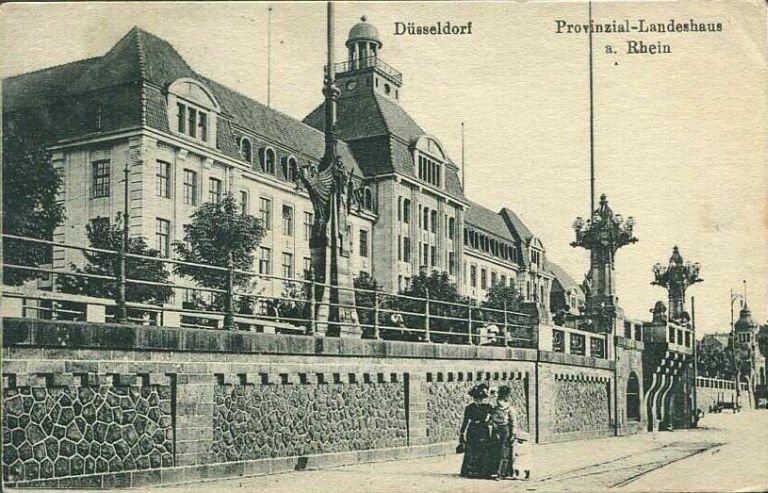 Front of card shows the city of Dusseldorf. Address side shows Scott 127 (75pf) with Trebnitz 21 Jul 1922 postmark. 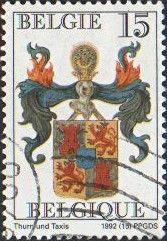 Manuscript "T" marking in black. 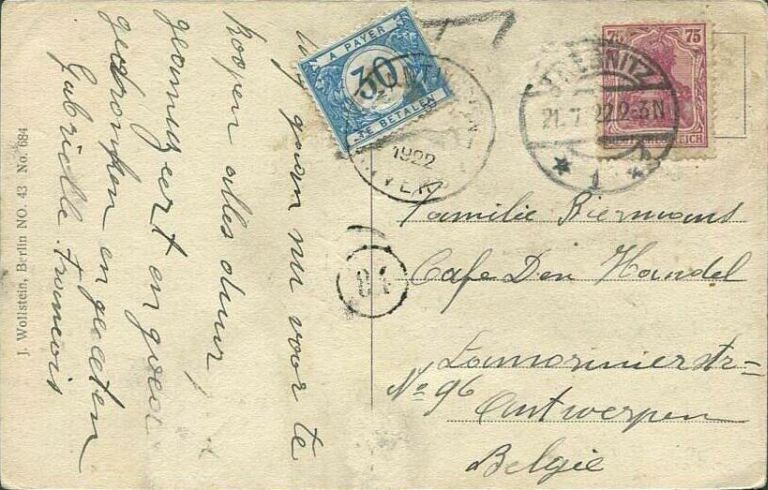 Postage due stamp canceled Antwerpen ?? ?? 1922. Belgian letter carrier mark applied. Interesting use of stamps during Germany's post-WWI hyperinflation period. You are in ... Belgium.